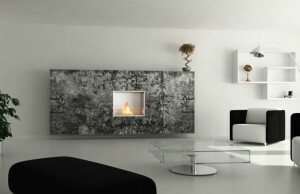 Italian designer Acquaefuoco has created real, home fire, closed in steel bio fireplace wrapper. Acquaefuoco does not disappoint us this time as well. 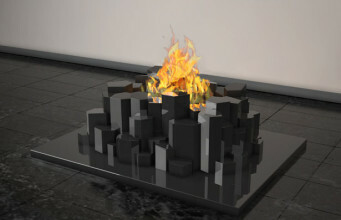 It has created a bio fireplace, that is associated with a warmth of home fire. Steel bars and metal base create evident styling of a house. 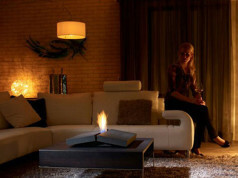 The base of this bioethanol fireplace has a hole, through which light fire is extracting. All by means of simple remote control. 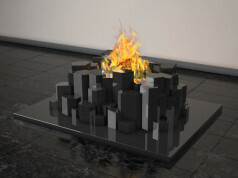 Bio fireplace is compact, the dimensions are as following: 530 mm x 300 mm x 620 mm. It is powered by bioethanol. Burning time with a full fuel tank – from 6 to 9 hours. Available colours: graphite, white and red. 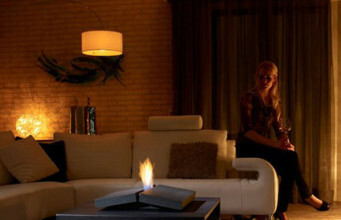 Bio fireplace was designed in modern style, so it matches do minimalistic and contemporary interiors. 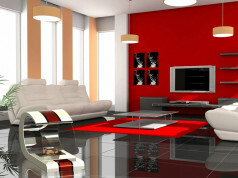 We can place it in both big and small rooms. 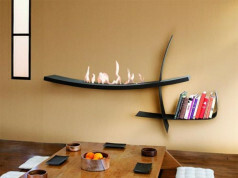 Homefire is free standing bio fireplace, we can easily move it and replace. 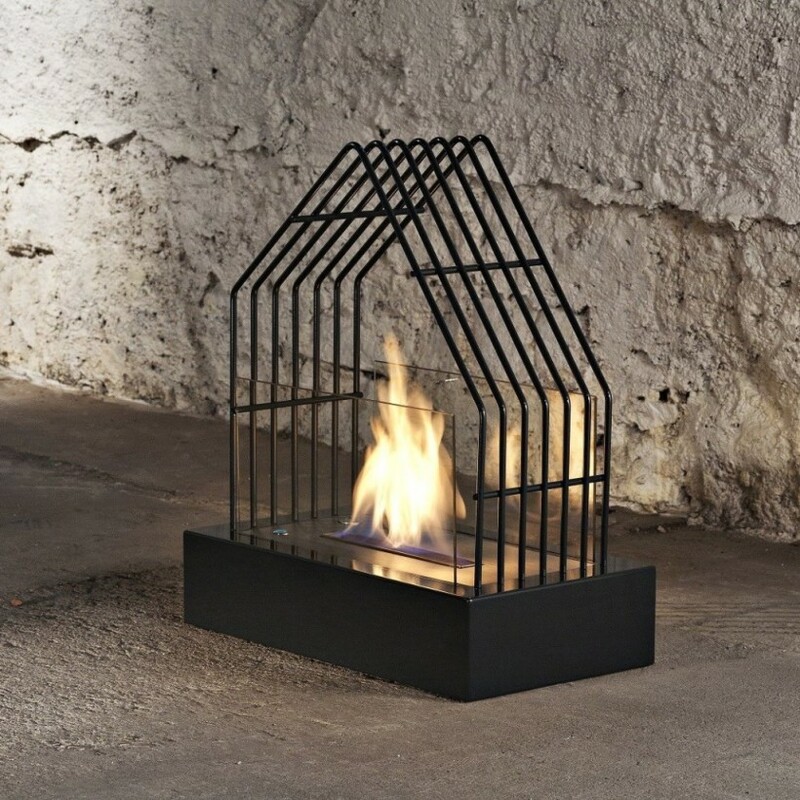 Homefire bio fireplaces will surely add charm to our evenings. 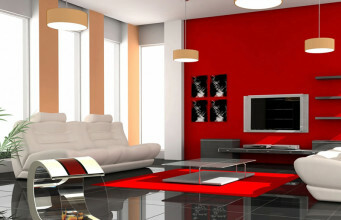 Its style will decorate a room, filling it with warmth and cosiness due to geometrical shape – reminding house. 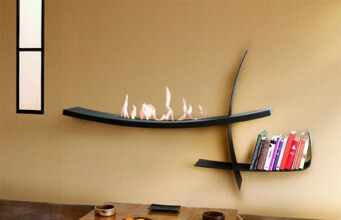 Homefire will fascinate every homelover and fan of interesting interior decorations.